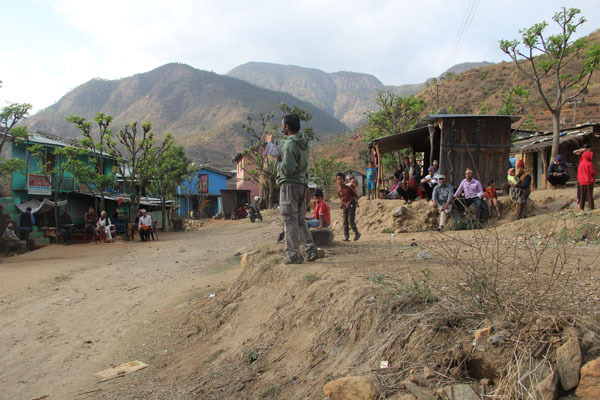 Bijaya and his Evangelism to Remote Villages project team had another incredible Spirit-led time of ministry among eight different remote villages in Nepal. It's clear the Lord has directed Bijaya to the right places at the right time so that He could be known and glorified among many people. On this trip, Bijaya and his team did open-air preaching in these eight villages, prayerfully hoping some would believe and be saved. In one town, the team left the Gospel of John on the desks of a public school in hopes that the students would get them the next morning! One night they spent the night in a village without a plan, but God had a plan! They found new believers in that area and were able to fellowship with them and teach them about the meaning of believing in Jesus Christ. Next, they found a group of Indian people who were doing construction work in that area of Nepal. Since Bijaya had just returned from India himself, he had an easy time communicating with them in Hindi and Urdu! Praise God! Oh, how God gave us opportunities to preach the gospel in tea shops, along the road, on the mountain tops, and to those who came to buy a big goat from the neighbor of our base. Indeed, when they are ready, the Lord opens the stony hearts of the people. God even moves in the hearts of people to go to a tea shop or to buy a big goat at the time when they need to hear the good news. How majestic are His ways! 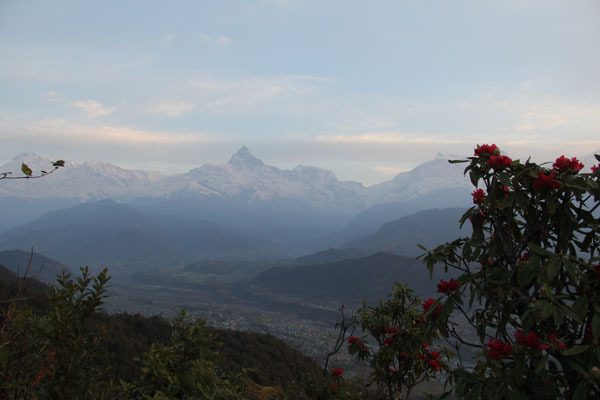 On this trip throughout the remote villages of Nepal, Bijaya worked in time to host a teaching seminar for pastors and leaders from 12 churches in that area. They really appreciated the training and were already asking about when the next training date would be! The pastors and leaders in that area don't have much training and they can't normally leave their families and flocks to go to long trainings to learn sound doctrine. That's why Bijaya and his team are making the trek to them to train them in their area. They have a plan to make more trips in the future to train, encourage, and teach the pastors and leaders there. They also hope to supply the people with literature for free as the Lord provides. Would you consider helping make it possible for Bijaya to continue his traveling ministry and making it possible for him to distribute these precious resources to areas where there are none?